Tonight, I made three different Pad Thai recipes. If my roommates didn’t think I was crazy before, I’m pretty sure they do now. But I had an important goal! And that was to find the best Pad Thai recipe out there, because I love Pad Thai (the American take-out kind; I’ve never had the made-in-Thailand kind), and I would feel pretty impressive if I knew how to whip up a batch at home. I made small changes to each of the three recipes I tried. In general, I don’t think it’s fair to review a recipe that you’ve changed, since you’re no longer reviewing the recipe as the author tested it. In this case, however, what I was really testing were the sauces, and for the most part, I didn’t change those. I also made each dish in a way that was practical to me – e.g. I don’t eat shrimp, so I’d never include it, and I’m unlikely to have “sweet preserved shredded radish” around, even if I were to cook Thai food regularly. The conclusion: I haven’t found my ideal Pad Thai recipe yet, but I feel a lot more knowledgeable about what works and what doesn’t. I’ve scribbled down some ideas about how I might combine recipes two and three to get what I’m looking for, and I’m going to keep testing recipes – I’ll let you know when I find a combination I love. 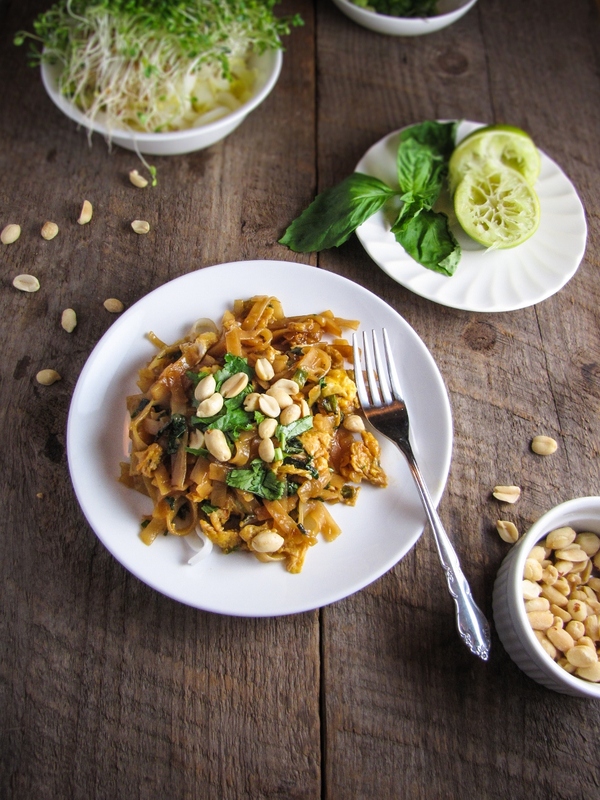 In the meantime, if you have a favorite Pad Thai recipe, please share! I’m totally with you! Takeout pad thai is awesome. It’s its own thing, totally separate (I assume) from anything authentic! And that’s ok – it’s authentically takeout-y. On behalf of the internet, we appreciate your research. Thanks for doing the leg work! I will have to give this a shot (or all 3!) … I have a package of pad thai noodles staring at me from my pantry. Katie: My boyfriend and I have had much success with the hints and tricks posted at: http://chezpim.com/cook/pad_thai_for_beginners . We had the most difficulty initially as we used tamarind concentrate to the same extent as tamarind (which required more time to rebalance all the components into a delicious flavor). Based on what your comments are above, I believe you probably made the same mistake with the first two recipes you tried (too much tamarind overbalancing). Really, the sauce once prepped to your favorite flavor profile keeps deliciously in the fridge. Oh, and I would suggest putting in the tofu and frying it nice and crispy too! Megan, thanks so much for all the tips! I think you’re probably right about the tamarind – it’s quite strong, and a little seems to go a long way. I’m off to check out the Chez Pim link! I had read about Pad Thai but haven’t actually tasted, much less eaten one. But after reading your blog, my curiosity was piqued. Thanks for sharing! 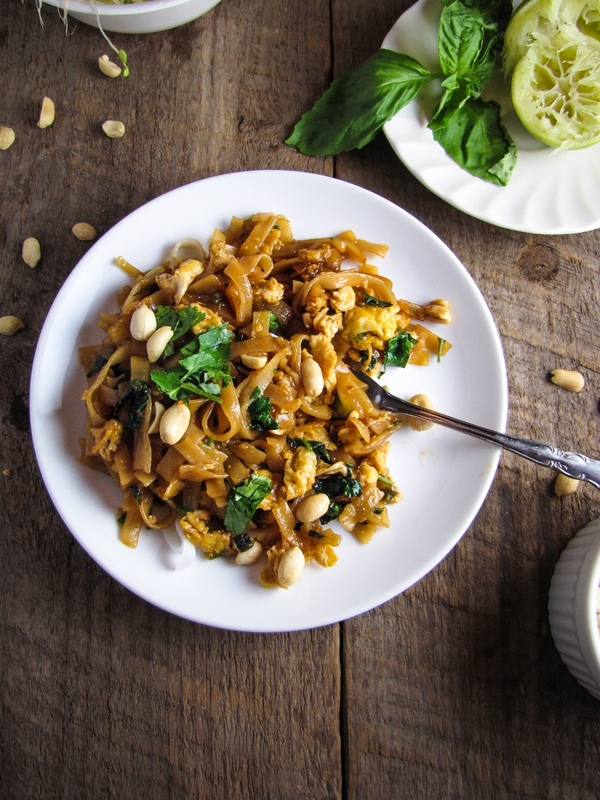 Hi, I’ve been pursuing the perfect “take out” Pad Thai recipe for a while now. For the sauce, in the past few years I had settle on this one (http://chezpim.com/cook/pad_thai_for_beginners) , which gave me surprisingly good yet inconsistent results (not sure why, most likely my fault). The problem I had with this is that it starts with so much fish sauce that I end up having to use huge amounts of sugar to counter. Mix all together, bring to boil, and simmer uncovered until syrupy. Notice, no heat. You can add to taste later. 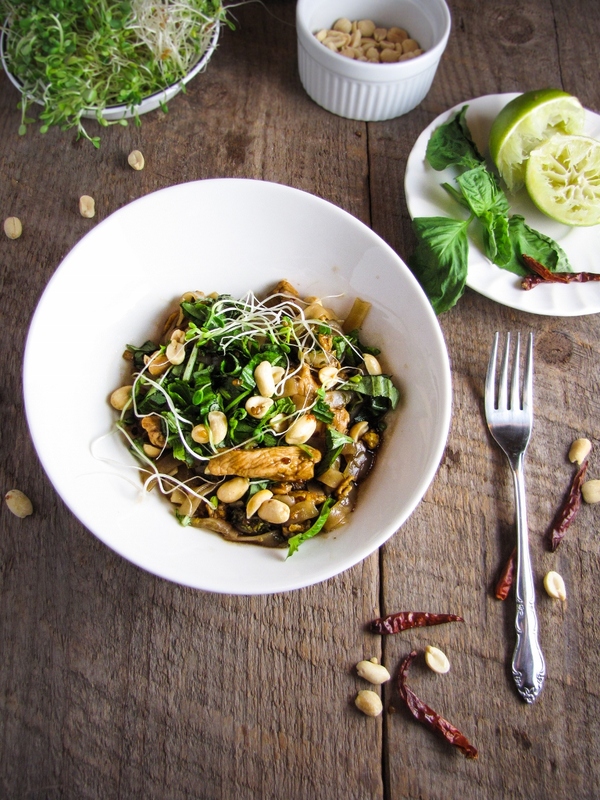 If you do decide to use a recipe that includes oil, definitely try the peanut or sesame oils! 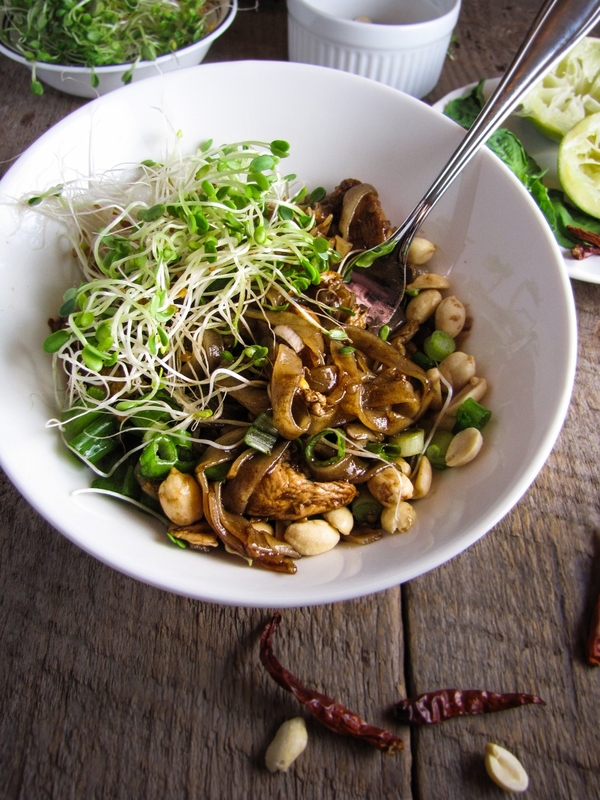 They add nutty flavor that isn’t prominent, but still becomes necessary in a lot of dishes like Pad Thai. With the wild variety of oils available these days, dont hesitate to use a kind that brings real flavor to the dish. Great post Katie! I have only made pad thai once – I used the recipe in “Hot Sour Salty Sweet”. It came out great – tasted like what I know from takeout and was also authentic (at least I assumed it was given the authors’ expertise). I don’t have the recipe typed out but I’ll let you know if I ever blog about it. I definitely recommend the cookbook as well! Although I’ve never tried the first two recipes I have attempted a few others out there and the third one. Although I’d agree that the third recipe isn’t super authentic it’s easy and delicious and one my favorite weekday dinners. I also love that it doesnt require oodles of ingredients (a must with a small fridge) Maybe ill try one of the other two for guests or when I’m feeling like a bit more time. Thanks for sharing!